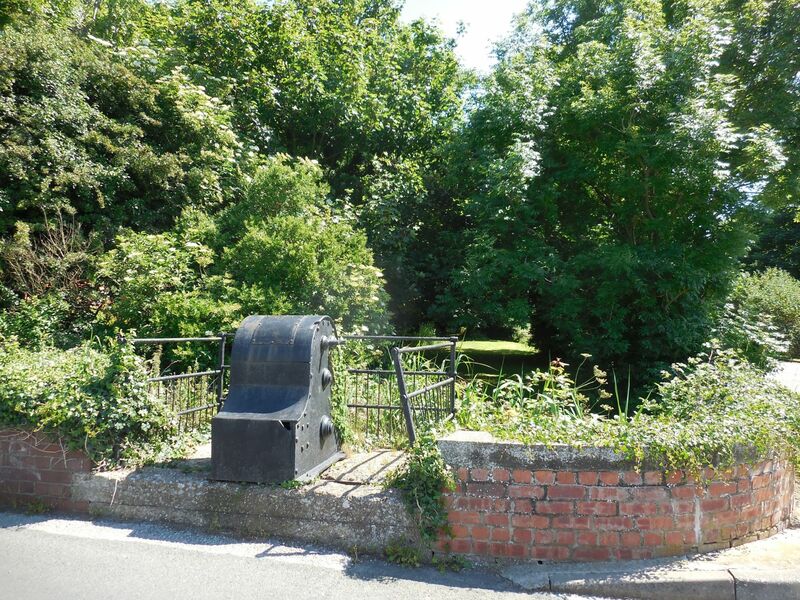 It was William le Gros, named after his great size, but whose official titles were Count of Aumale, Lord of Holderness and Earl of York who founded Hedon, though sources claim that it already exisited in Saxon times and was a place of some importance. 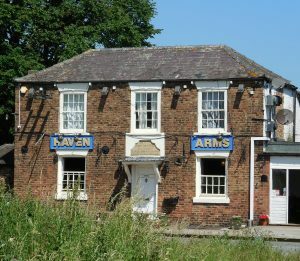 The town is not mentioned in the Domesday Book, implying that by then it had either ceased to exist or was of very little importance, a local tradition asserting that it was destroyed by the Danes after a battle fought on a spot which has ever since been known as Danes’ field. The name appears in 1115, when William’s father Stephen gave a hospital beside the Hedon river and free passage across the Humber to the canons of the church of St. Martin d’Auchy, situated outside the town of Aumale in Normandy. 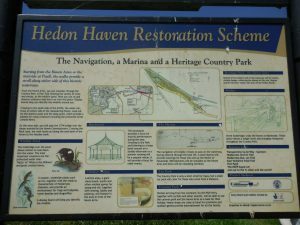 It has been suggested that the name Hedon was derived from Hebdoni silva or Hedonisilva, the site of the canons’ earlier church, believed to be the village of Hardonseille which lies about 5 km south-west of Aumale. 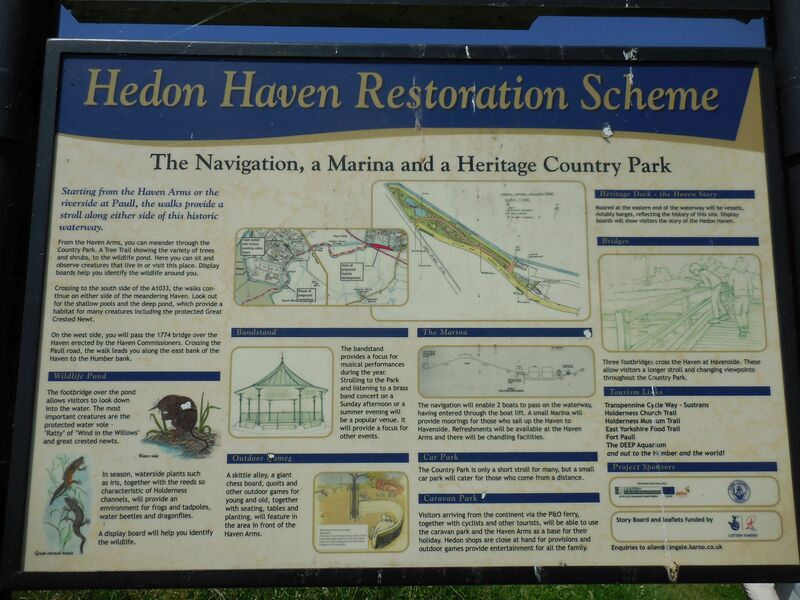 Hedon was one of only three boroughs in Holderness founded by the Counts of Aumale and was to become the most successful. 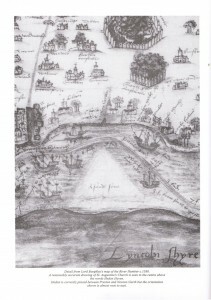 It was built out of lands taken from the parishes of Preston and Burstwick on the only river estuary William d’Aumale could use to develop a town and harbour; the Patrington channel was not a possibility as it belonged to the archbishop and, of the lands surrounding the river Hull, only the east bank belonged to the count. 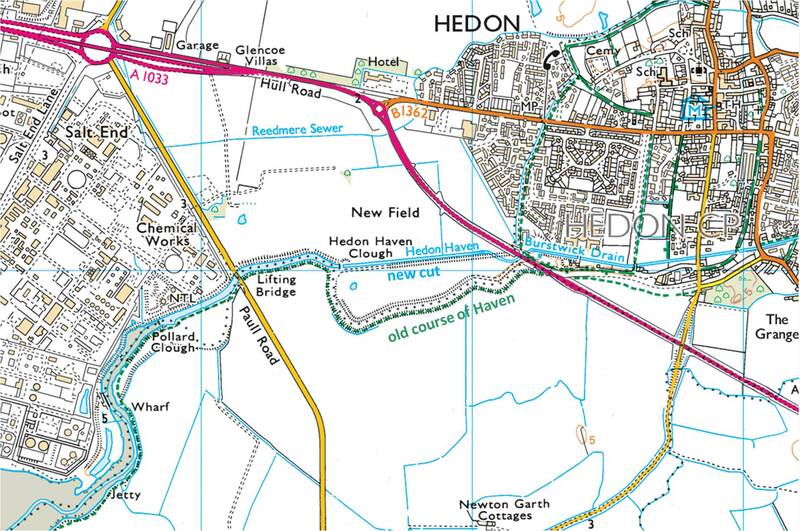 The river Hedon was also convenient for the count’s demesne lands which lay mostly around Burstwick, the two towns being connected by a navigable channel. 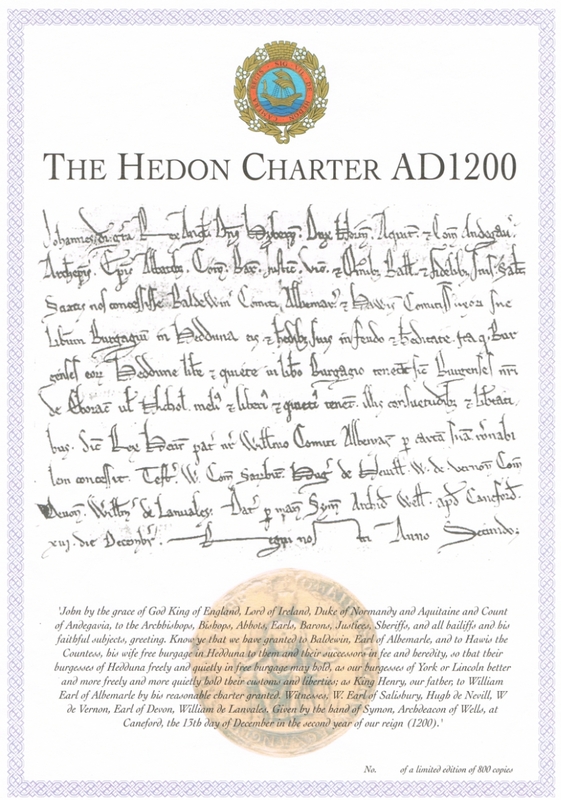 William d’Aumale obtained a royal charter for Hedon from Henry II, but it was granted to the count and not the townsmen, and Hedon remained under the control of the Counts of Aumale until 1260, when the last one died, and later under the Lords of Holderness. 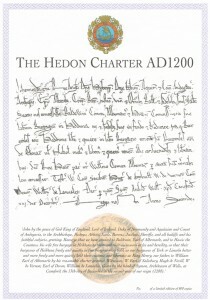 King John in the year 1200 confirmed the charter using the same vague terms as those of the first, which led to the granting of a very detailed charter by Edward III in 1348, under which it was stipulated that governance of the town was by a mayor, bailiffs and other officers. The first mayor took office in the same year. 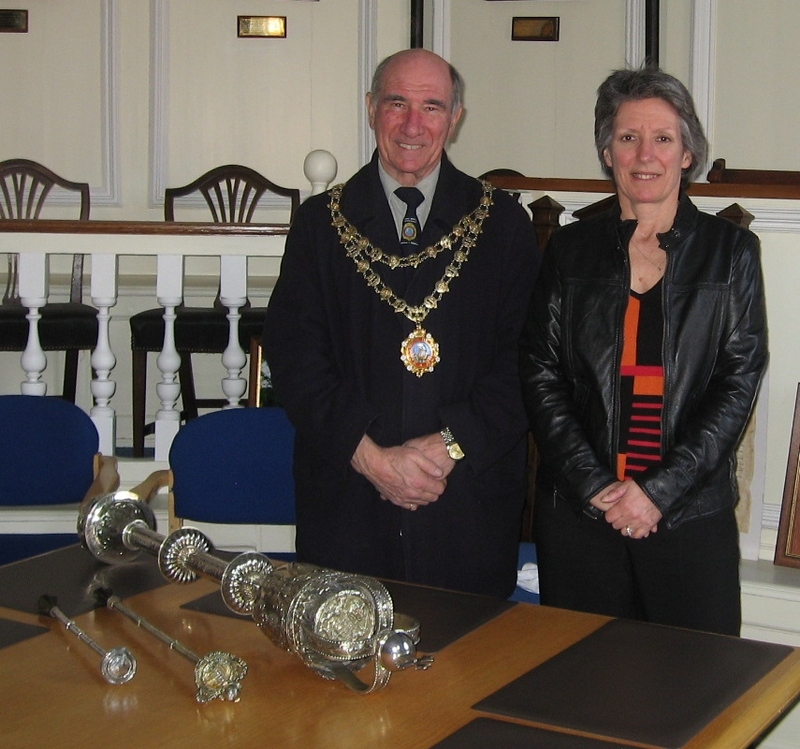 He and two bailiffs were responsible for law and order within the borough boundaries and for the collection of harbour duties, town rents and tolls. 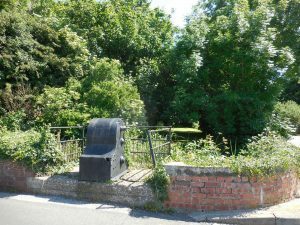 Isabel Pickering’s husband Ralph Wade was a bailiff in 1577 and 1579, and her nephew Anthony Pickering married Elline, the daughter of Henry Mapleton who was the mayor of Hedon in 1587. 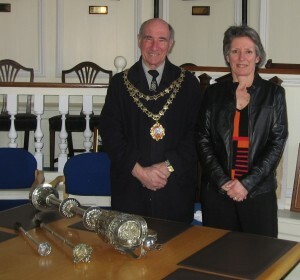 The mayor was protected by the Sergeant-at-Mace who carried his weapon to defend his master as he went about his duties. 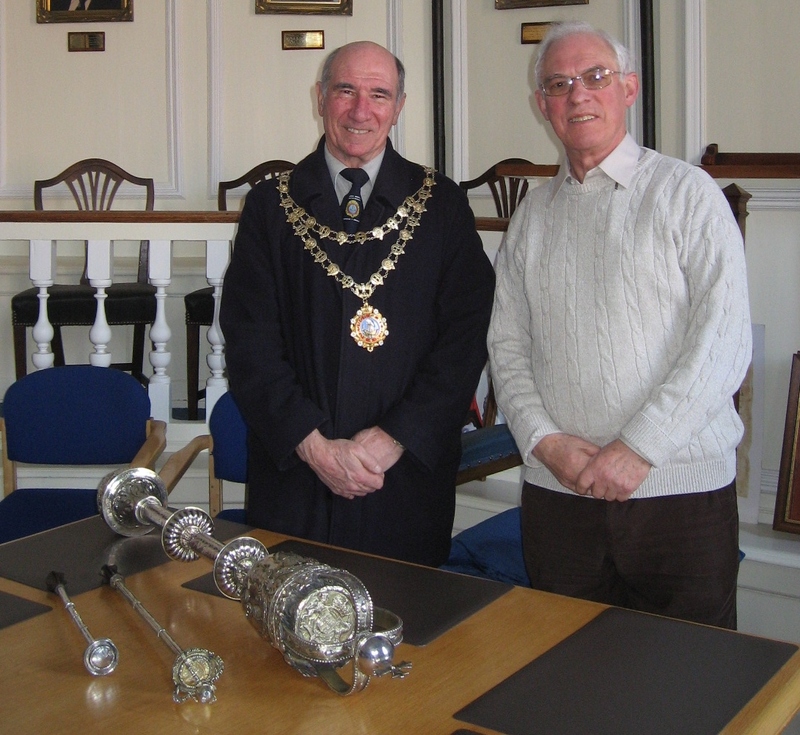 Hedon is the proud owner of the oldest civic mace in the country, which was acquired at the same time as another charter granted by Henry V in 1415. Later, two maces of more elaborate design, dating from the reigns of Henry VI and Elizabeth I, were acquired. In 2009 I was accorded the immense privilege of a private viewing of the maces by the then mayor of Hedon, Mike Bryan. Hedon had the rare distinction of coining money for King Stephen c1153, probably because William d’Aumale had consistently supported him throughout the civil war. 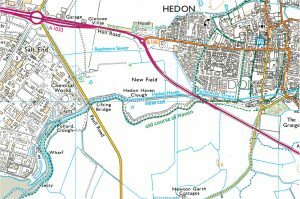 In 1272, Henry III granted the Lord of Holderness a fair at Hedon, on a site north-east of the town that still bears the name Magdalen, to be held yearly on the eve, day and morrow of St. Augustine and for five days following. Three parish churches came to be built in the town, all of which indicates a considerable amount of prosperity. However, Edward I’s patronage of nearby Kingston upon Hull and unresolved problems concerning the silting up of Hedon haven all contributed to the equally rapid decline in the fortunes of both the town and the port. An inquisition held as early as 1280 declared that the inhabitants were “few and poor with many wishing to remove from the town in which they are taxed every year”. 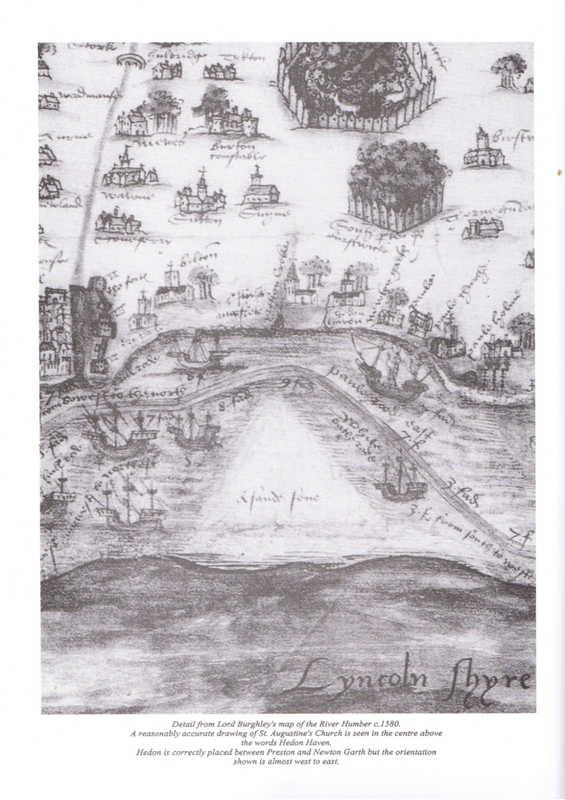 Much later in 1540, the traveller John Leland was able to add the historic postscript: “Swarming and choking of the haven, and Fier defacing much of the Town hath been the Decay of it. Treuth is that when Hulle began to flourish, Heddon decaied”. The harbour became overgrown with flags and reeds, and in time was completely silted up. 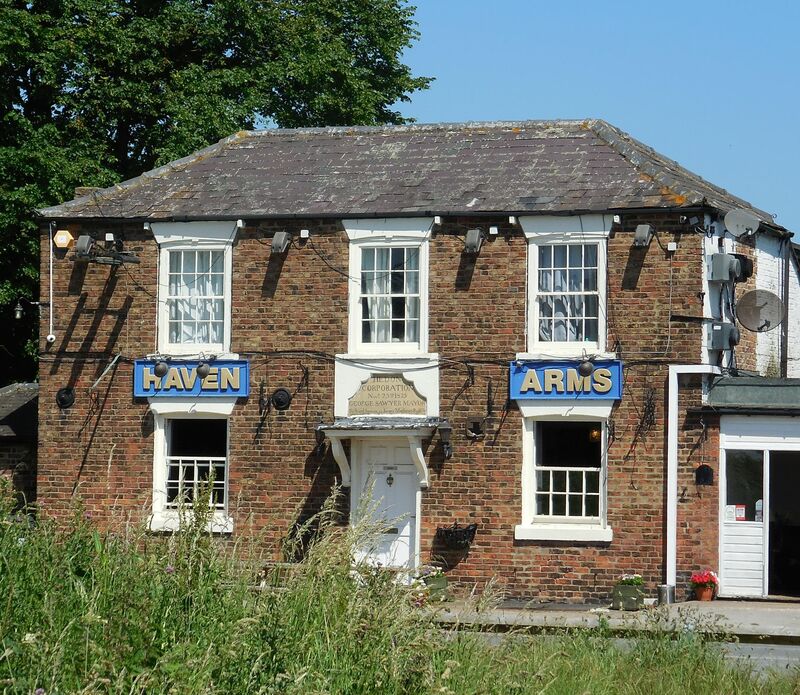 In 1774 an Act of Parliament was obtained for recovering and preserving the haven; a new cut was made which approached within a ¼ mile of the town, but it did not achieve the success that was anticipated. The town continued, however, to serve as a local market centre and the haven carried limited traffic well into the 20th century. 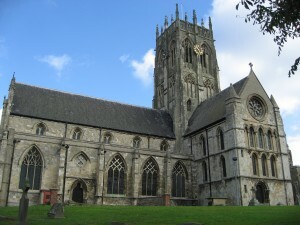 The church of St. Augustine, known as “the pride” or “the king of Holderness”, was started in 1190. It is a handsome cruciform structure, built at different periods, as shown by the variety of its architecture. The chancel, transepts and nave are Early English with Perpendicular and Decorated additions. It is dedicated to St. Augustine of Hippo, an early Christian theologian whose writings are considered very influential in the development of western Christianity and philosophy. He was bishop of Hippo Regius, located in the Roman province of Africa, known to the later French colonisers as Bône, now named Annaba, a town on the coast of Algeria near the Tunisian border. 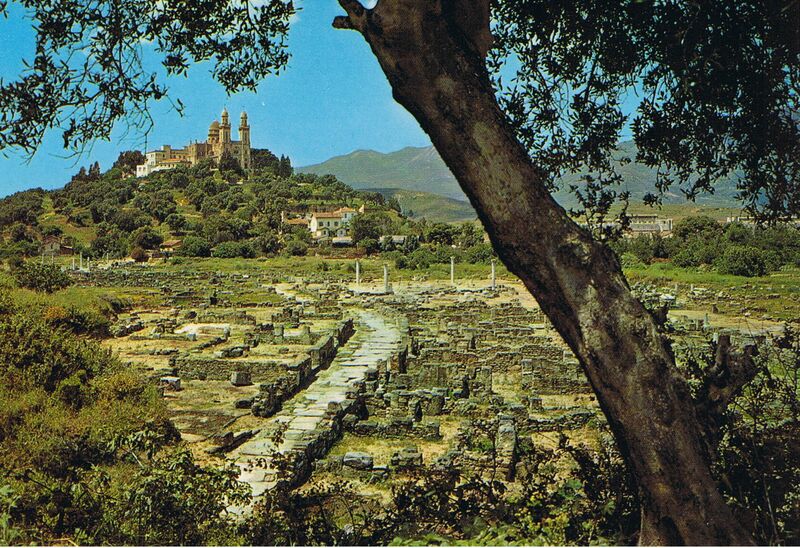 By happy accident I spent 4½ years working for a company of consulting engineers in Annaba between 1977 and 1981. 1. John PICKERING born c1515, married c1544 Unknown UNKNOWN. 1.1. Anthony PICKERING born c1545, married c1569 Unknown UNKNOWN. 1.2. Isabel PICKERING born c1550, married 20 January 1578 Hedon Ralph WADE. 1.1.1. John PICKERING born c1570, married 1597 Janet JOHNSON. 1.1.2. Anthony PICKERING born c1575, buried 8 October 1651 Hedon, married 1st 23 November 1601 Hedon Elline MAPLETON (daughter of Henry MAPLETON and Elizabeth UNKNOWN) baptised 30 August 1579 Hedon, buried19 January 1606 Hedon, married 2nd 23 November 1606 Hedon Grace HARFORTH baptised 17 November 1580 Howden. 1.1.2.1. Francis PICKERING born c1601, buried 30 July 1602 Hedon. 1.1.2.2. John PICKERING born c1603 buried 11 January 1605 Hedon. 1.1.2.3. Thomas PICKERING baptised 6 September 1607 Hedon. 1.1.2.4. (Infant) PICKERING born c1609 Hedon, buried 8 March 1609 Hedon. 1.1.2.5. Robert PICKERING baptized 13 April 1610, buried 19 March 1640 Hedon. 1.1.2.6. Ann PICKERING baptised 14 October 1612 Hedon, buried died 2 July 1621 Hedon. 1.1.2.7. Anthony PICKERING born c1615 Howden, baptised 20 September 1616 Howden, died 8 October 1651 Hedon, married 1 June 1646 Hedon Elizabeth WAILES born c1626. 1.1.2.8. William PICKERING baptised 27 March 1616 Hedon. 1.1.2.9. John PICKERING baptised 14 March 1619 Hedon, buried 21 February 1654 Hedon, married 12 May 1646 Hedon Jane PARCELEY buried 1 August 1662 Hedon. 1.1.2.10. Mary PICKERING baptised 19 October 1624 Hedon. 1.1.2.7.1. Elizabeth PICKERING baptized 24 born August 1646 Hedon. 1.1.2.7.2. Anthony PICKERING baptised April 1648 Hedon, buried 3 May 1677 Patrington, married c1673 Joan UNKNOWN born c1652 Patrington, buried 24 April 1680 Patrington. 1.1.2.9.1. Sarah PICKERING baptized 3 August 1647 Hedon, buried 10 July 1648 Hedon. 1.1.2.9.2. John PICKERING shoemaker, baptised 14 October 1649 Hedon, buried 9 January 1727 Hedon, married 1st 11 June 1668 Lund Isabel MIDDLETON, married 2nd c1672 Hanna UNKNOWN buried 18 February 1683 Rise, married 3rd 15 November 1683 Rise Elizabeth WALKER died c1700, married 4th Jane UNKNOWN buried 5 February 1729 Hedon. 1.1.2.7.2.1. Margaret PICKERING baptised 23 February 1676 Patrington, buried 26 February 1676 Patrington. 1.1.2.7.2.2. Thomas PICKERING baptised 11 February 1677 Patrington, buried 1 April 1683 Patrington. 1.1.2.9.2.1. Elizabeth PICKERING baptised 26 February 1670 Lund. 1.1.2.9.2.2. John PICKERING baptised 26 February 1670 in Lund. 1.1.2.9.2.14.1. Marmaduke PICKERING baptised 1 May 1724 Hedon, buried 26 July 1724 Hedon. 1.1.2.9.2.14.2. Mary PICKERING baptised 4 February 1725 Hedon, married 20 July 1772 Paull William DUTY. 1.1.2.9.2.14.3. Martha PICKERING baptised 16 born September 1729 Hedon, buried 14 April 1800, married 24 July 1763 Hedon Thomas HOE joiner, baptised 9 March 1718 Calverley, West Riding, buried 11 April 1798 Hedon. 1.1.2.9.2.14.4. Marmaduke PICKERING bricklayer, customs officer, baptised 1 January 1731 Hedon, died 1797 Aldbrough, married 19 February 1759 Hedon, Ann BROWN born c733 Hedon. 1.1.2.9.2.14.5. Eleanor PICKERING baptised 4 April 1735 Hedon, married 22 November 1759 Owston, Lincolnshire Thomas FURNESS, cooper. 1.1.2.9.2.14.6. Richard PICKERING blacksmith, baptized 3 March 1738 Hedon, died before 1778, married 27 August 1760 Preston Mary HARDY, died before 1778. 1.1.2.9.2.14.6.1. John PICKERING baptised 28 December 1760 in Hedon, died before 1821, married3 December 1781 Paull Mary SMITH (daughter of Thomas SMITH) baptised 12 October 1762, buried 8 August 1838 Hedon. 1.1.2.9.2.14.6.2. Mary PICKERING baptised 8 March 1763 Hedon, buried 8 August 1838 in Hedon. 1.1.2.9.2.14.6.3. Ann PICKERING baptised 24 February 1765 Hedon. 1.1.2.9.2.14.6.4. Hannah PICKERING baptised and buried 15 February 1767 Hedon. 1.1.2.9.2.14.6.5. Elizabeth PICKERING baptised 16 April 1772 Hedon. 1.1.2.9.2.14.6.6. Thomas PICKERING baptised 10 October 1773 Paull, died 27 October 1778 Hedon. 1.1.2.9.2.14.6.7. Jane Hardy PICKERING baptised 3 July 1775 Skeckling.